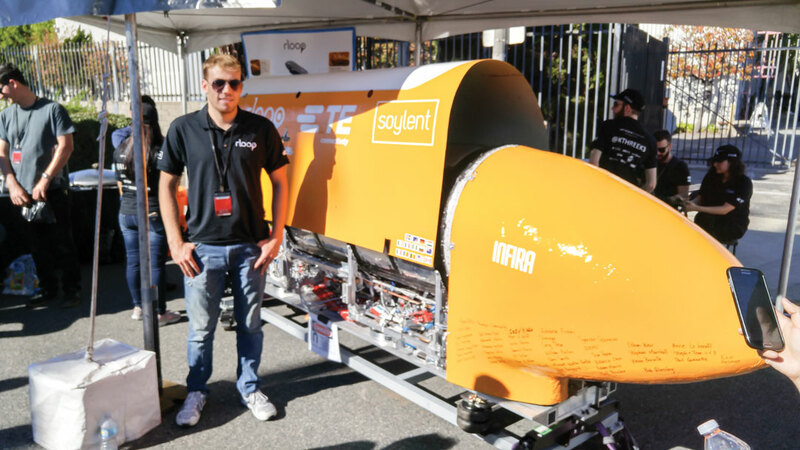 Corey Stein, junior mechanical engineering major, participated in the Hyperloop design competition from Jan. 27-29, a contest created by Elon Musk, founder and CEO of SpaceX and product architect of Tesla. Stein was part of a team whose members were from more than 20 different countries and multiple continents. Musk started the Hyperloop Pod design competition in 2015. It is scheduled to last until the end of 2017. SpaceX sponsored the competition as a platform for teams to connect, plan and build a prototype transportation device. The Hyperloop concept is a tubing device transport vehicle that could potentially take a person from San Francisco to Los Angeles in approximately 30 minutes. Stein’s team was a non-student team that was not supported by a university like most participants. The team was completely financed through fundraisers and an Indiegogo campaign. They raised approximately $100,000, which is considered a low budget for this particular competition. Stein’s team communicated online with the help of two team leads. The engineer team lead was also employed by NASA, giving the team the edge they needed to get through the last competition. “We went to a design weekend to present our design and got selected as one of the 30 teams out of the several hundred that appeared that weekend to move on in the competition,” Stein said. Stein’s team received the award for “Most Innovative Design,” which was one out of five awards given. Thirty teams competed in this competition.